Rother Council leader Alan Maynard clearly does not understand that simple English word ‘could’ (‘Calls for Labour apology over Rye leisure centre claims’). 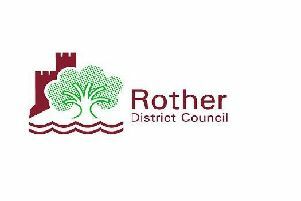 “Sarah Owen has joined with local activists to save Rye Sports centre, following discussions at Conservative-controlled Rother District Council that could result in £178,000 of subsidy being withdrawn. Without the subsidy the centre would need to cut back on hours, close part of its services (such as the pool) or close altogether. So Sarah was scrupulous in saying not that the Tories ‘will’ but that they ‘could’ reduce the subsidy. If the council has bowed to local pressure and managed to find a deal that keeps the leisure centre open rather than close or reduce its services then they certainly deserve credit. But playing politics in this way and absurdly demanding that the Labour Party apologises for stating no more than that the council was at one point examining a range of options which COULD reduce the subsidy is yet another example of the childish and insulting level to which Maynard and Rother Tories seem intent on reducing what passes for local politics here.